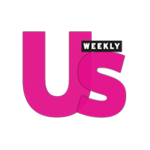 OJ&B returns as a Fashion Police Top Cop in the April 16, 2012 issue of Us Weekly featuring Michelle Williams (do you think she found love again with Jason Segel)? This time I gave citations to Ashley Tisdale, Nicole Scherzinger (Nicole from Pussycat Dolls) and Brooklyn Decker! Click on the photos below to check out OJ&B's sassy comments to these fashion victim's. 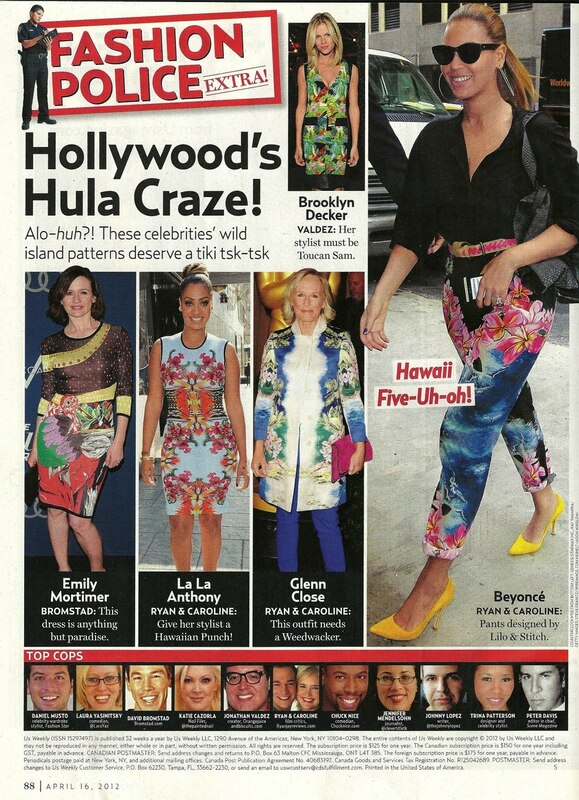 I mean honestly, why the hell would Ashley Tis wear that horrible outfit?! I love being a Fashion Police Top Cop even though people think I judge their outfits once they find out about it. I always tell them that they are perfectly safe as long as they are not a celeb. I mean they have no excuse to look like a hot souful mess right?! 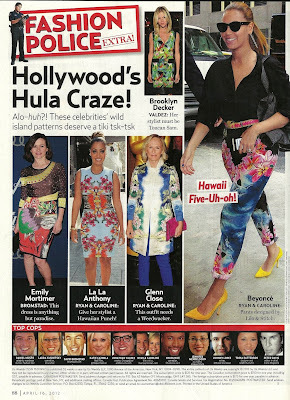 Be sure to keep checking the back of your Us Weekly Magazines for mor fun fashion comments!